Shark diving also have special package for those who need dive research, very personal trip, underwater pre-wedding photography, documentary, advertising or music videoclip making, etc. You can contact our crew for this special package. For those who have research purpose (government, non-government organization) and it is proved by legal and formal research letter from government, we will give discount rate. Discuss this with darmawan_ahmad_m@yahoo.com for detail inquiry. For those who want to have a private dive trip in Morotai Islands, we can arrange special dive trip to one or more remote island. Among this island is Mitita Island, Kokoya Island, or far north in Tabailenge Island or Rao Island. We serve you with a personal guide and crews who is dedicated to assist you all time during diving. Contact darmawan_ahmad_m@yahoo.com for detail inquiry. 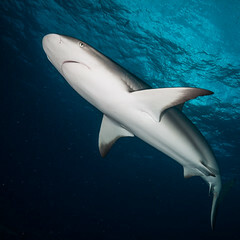 Underwater Photography became popular in last decade and thanks to technology that bring more advance camera underwater. We have Underwater Photography Services varies from underwater camera rental to underwater pre-wedding photography or videography. During the service, we have a safety diver, first aid, as well as post-production services. Ask darmawan_ahmad_m@yahoo.com for detail inquiry.